Market consensus — a seductive yet treacherous siren — says Trump’s big spending will keep stocks in what David Stockman calls the “nosebleed section.” Hussman dissents. The post-election stock rally rests upon stilts, and the stilts upon sand. Stocks are overvalued, says he. Another portent: Interest rates are set to rise (Fed funds futures are suggesting a 92% chance of a rate hike next week). Bond yields have spiked in expectation that Trump’s spending plans will finally goose inflation. The yield on the 10-year Treasury note is currently 2.37% — which starts to flirt with danger as far as stocks go. And lame duck Yellen will likely raise rates, as indicated. 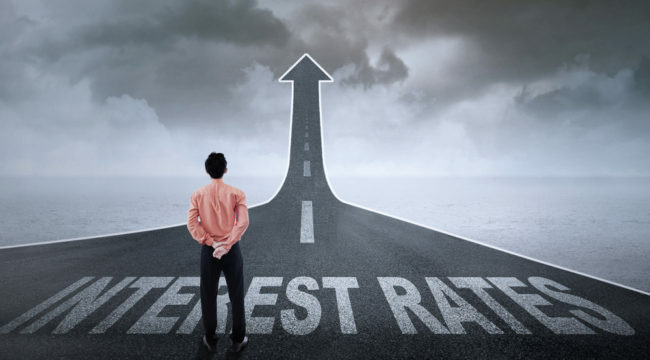 Rising interest rates are widely considered head winds for stocks. With rising interest rates come rising equity costs. And rising debt costs. As Goldman explained recently, “A rise in U.S. bond yields above 2.75% would create a more serious problem for equity markets.” It says a 3% rate would spell a 10% correction on the S&P. It is one that most closely resembles only three other points in the postwar period; the first in early October 1987… the second in January 2000, and the most recent in July 2015 (the S&P 500 lost 12% over the next six weeks). Refresher: The Dow plunged 22% on Oct. 19, 1987 — “Black Monday.” The tech bubble started to burst in March 2000. Almost forgotten is last July’s episode Hussman mentions. At 12%, it met the definition of a correction — a 10% market drop. A repeat performance would drop today’s S&P 265 points in a New York minute. In any given week, the single most likely market outcome is actually a small gain, even though the average outcome is negative… Simply put, don’t be lulled into complacency by thinking that severely hostile market conditions have to resolve into immediate market losses. That’s not the way these environments work, and they never have. Rather… present conditions actually [mean] that investors should expect a greater tendency toward small market gains than market conditions might otherwise lead them to expect, punctuated — with no warning at all — by wicked vertical losses that wipe out weeks or months of market gains in a handful of sessions. Every market crash in history has been associated with essentially the same [pattern.] It’s the positive “mode” that creates complacency… and it’s the fat left tail that strikes out of nowhere. The “fat left tail” being a reference to the standard bell curve distribution pattern. A “fat tail” event means it’s way out on either end of the bell curve — highly unlikely. A fat right tail event is winning the Powerball. A fat left tail event is a piano falling on your head. Hussman’s warning about the piano, and that’s where those “wicked vertical losses” enter the scene. Just so. And in a year when the Cubs won the World Series and Donald Trump won the White House, extreme events are starting to seem downright common.